Duff cam chain tensioner and another dead battery story..! Firstly, I suspect I'm not alone here as I've read a few stories on other BMW forums of rattling cam chains, not necessarily just XR's, but RR's and R's as well, not surprising since their engines are virtually identical. My new 2017 XR which I picked up in March has been running fine and has never missed a beat, although it does have the occasional 1-2 second cam chain rattle when starting from cold, not every time but maybe 1 in 3-4 starts from dead cold..I'm well aware the tensioner is reliant on oil pressure so I didn't think much of it...but lately it has been getting progressively worse.... and to my mind, longer in duration and slightly noisier. Does anyone else suffer from this?? I suspect so, but there's not much mention of it on this fine forum. Have been thinking of fitting a "manual" cam chain tensioner to eliminate this....any thoughts..?? Secondly, I went away for a few days last week and upon my return the XR wouldn't start, the dash lights etc were all working as normal but upon pushing the start button she'd just activate the starter and stop without actually turning over....tried a few times, same result....so I popped the seat off and checked the battery terminals, all looked good, both terminals nice and tight. I then ran my multimeter across the battery to be greeted with unloaded voltage of just 10.8volts, needless to say when loaded with the starter etc, the voltage drop will be dragging it down further, she's never going to start with that. I have another motorcycle and as a diagnosing exercise, I removed it's battery and plonked it into the XR...I gave it a quick voltage check and it was showing the normal 12.6volts, I hit the start button...and sure enough, the XR spun into life straight away, I then checked the running charge voltage and it was a healthy 14.4-5volts, totally normal. I suspect the original battery is not well and also note the original BMW battery is just a tiny 8ah...whereas my other bike battery is 11ah but they a very similar in physical size, within 2mm in each direction. Is it true they have a larger optional battery when the factory alarm is fitted, or am I barking up the wrong tree.?? I'll put the original battery on charge today and see if it will hold a charge over the next day or two. I have a proper battery load tester which I'll hit it with after a good charge...I trust it will give me a good idea of the battery health. Anywho, I'll be contacting my BMW dealer this afternoon to see what needs doing regarding these two issues warranty wise. Re: Duff cam chain tensioner and another dead battery story..! My 2017 timing chain doesn't rattle, personally I would get the dealer to fix it rather than fitting the manual one, you don't want to be messing with it under warranty. Had no battery issues yet, but winter is just around the corner, & I will get my optimal wired into the bike as this keeps it up to scratch when the bike is laid up for weeks or months on end . Re the battery they and when I say 'They' I mean any battery can go belly up an exact science they ain't. The cam chain tensioner hmmm BM have a history with them particularly if you know anything about their K series,I'd do nothing till you have spoken to your dealer as tactfully as possible assuming you have had your 600 mile service ask if they did put 5/40 in the engine and not 10/40. If they say yes then you need to be talking to them about what they are going to do because cam chain rattle on an XR isn't right not life and death but dam well annoying. Re the manual tensioner that's an American fixation a lot of folk over there think it's the way to go I don't,hydraulic tensioners always work fine assuming their either not leaking or the oil in motor isn't too thick. Hi Smithy, same two problems on my early 2016. Battery died at the 1 year mark. Dealer replaced under warranty. At about 18 months and 15k miles the cam chain noise was worse. At nearly every start up and also while idling. There is a BMW part the dealer can install that adds a bit of preload to the tensioner. If you look up the tensioner in the parts fiche you'll see two caps listed base on mileage. Since in in the US I'll likely install a manual tensioner if the second plug's affect is reduced over time. I'm new to BMW and have little faith in the hydrolic tensions. You should at least move to the second tensioner cap. I believe BMW recommends a switch at 15000km. There's even a PUMA number your dealer can look up for the noise complaint. Hello Smithy, I had my cam chain tensioner replaced under warranty on my 2015 s1000r just before I traded it in for my xr. only rattled on cold start up after not being started for 2/3 days left it with dealer they left it for a couple of days before starting and then heard rattle, they said tensioner slowly leaks oil and so losses pressure and causes rattle hence only hearing it when cold and left for a few days, my r was fine after that. I would definitely take it to dealer to get checked, mine was doing it for about 3 months before I took it to dealer. I never leave the bike on its side stand either if it's going to be standing and going cold and if you look on the other channel you'll see posts about using 10/40 and you don't want to be doing that either. 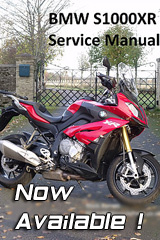 As mentioned, I rang my dealer yesterday afternoon and informed them of my issues and the service guys there were very helpful & honest, they said they have seen quite a few failed batteries, not just in the S1000 series machines, but several of the other BMW models too, I assume some of the other models use a similar make/type battery to the XR's..?? They said they will replace the battery for me, no questions asked. Too easy. They've also had a few noisy cam chains, XR's, RR's and R's...and as mentioned by st4gary, there are two tensioner assemblies depending on mileage...however, mine has only done ~3400kms so it doesn't quite fit the profile...but they'll check it out for me and replace it as necessary. I had my 1000km service done in April by the same dealer and the genuine BMW 5W40 synthetic oil was used, so it must just be a slightly "sticky" tensioner assy. As mentioned earlier, it works fine most of the time, it's just the occasional start from dead cold where it rattles for a couple of seconds.....any subsequent starts during the day are never an issue and she runs fine. My XR has always started without hesitation; until last weekend! The bike has been in the garage on an Optimate charger as usual when I am not riding it. The fuel pump spun up when I turned on the ignition and all the gauges and lights came on. I hit the starter and got a short buzz sound and then nothing. Checked all the fuses; side stand switch, etc, and all good. Called dealer and talked to the service rep; told him what happened and he said "probably a dead cell or two in the battery", we'll come pick it up this afternoon. Must be a very common problem on these bikes when the service writer gives the diagnosis. I used to do the same untill 6 years ago when I unplugged a bike from a tender that had been plugged in 24/7 rode 175 miles stopped for fuel and the the battery died a death and realised that having one plugged in all the time masks any problem with the battery. I now plug one every every 4/5 weeks you have some idea of the batteries health. I have a BMW Motorrad charger for about the last 8 years or so it cycles the battery according to the blurb that came with it. It worked great on the K1200s and the two K1300s and the F800st and seems to be doing the job on the XR.